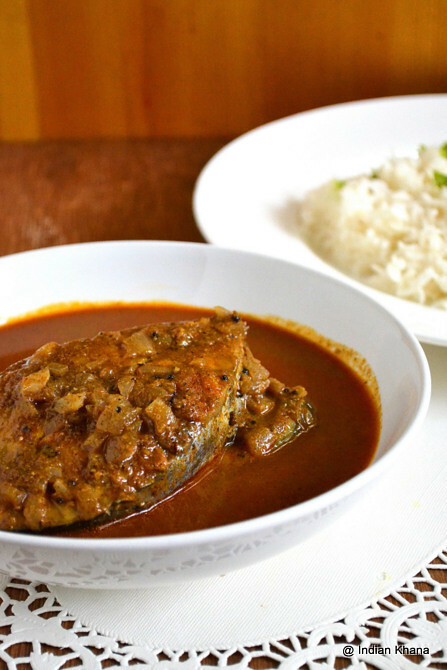 Malvani masala is so flavorful and it's add wonderful flavorful and texture to this fish curry, you can't miss that masala. 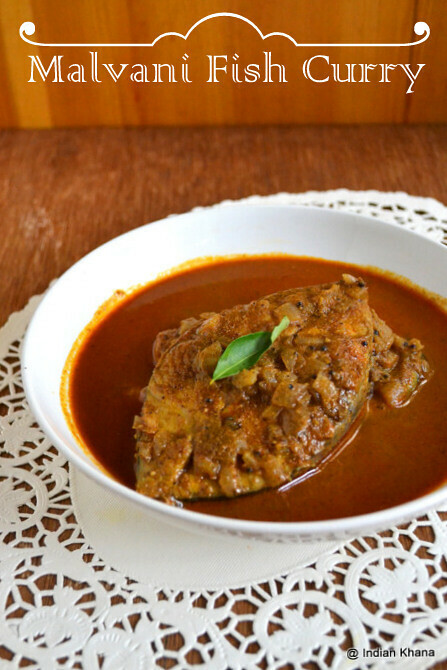 Do yourself a favor and prepare malvani masala not only for this fish curry but add that in any curry and it will be yum. Coming back to this curry recipe it's one of the best fish curry I made but mind you it's way too spicy and masaledar ie due to spices it's more on a heavy side. You can adjust the spices and tone down the curry a bit but it will be still spicy, Malvani and Konkani recipes are mostly on a spicy side so it's goes same for this curry too, if you like fish and spicy food then it's for you. Try this once and there will be no looking back I assure you that just, make sure to cook the masala properly to avoid any rawness and use good quality of red chilli for a nice color, I used kashmiri lal mirch (red chilli) and I simply loved the look for this fish curry isn't it looks fabulous? 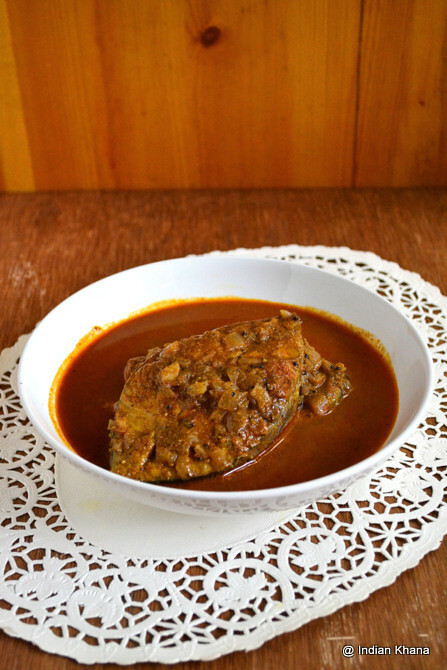 So explore Malvani/Konkani cuisine and try this malvani fish curry. 1. Wash and marinate fish with 1/2 tsp salt and 1/2 tsp turmeric powder for 10 minutes. Rinse 3-4 times and marinate with remaining ingredients until fish required to use or for 15 more minutes. 2. Soak kokum in 1/2 cup hot water for 10 minutes. 3. Grind all the ingredients 'to grind' into fine paste, use kokum soaked water to grind. 4. Finely chop onion and keep aside. 5. In a pan heat oil, add mustard seeds and allow to splutter, add onion and saute until soft. 6. Add masala paste and saute until oil floats on top around 10 minutes in medium to slow flame. 8. Once oil starts to floats on top, add 2 cups of water in masala, salt and bring it to good boil. 9. Now add fish pieces, malvani masala and simmer for 10 minutes. 10. Add coconut milk, adjust salt if required and simmer for 5-7 minutes or until oil floats on top. 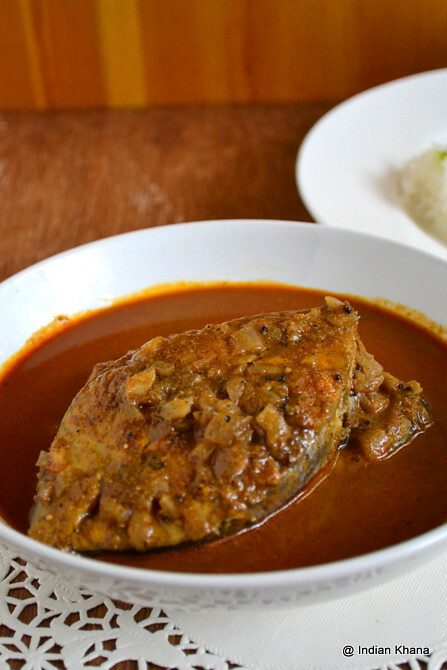 Serve warm with steamed rice and enjoy this spicy fish curry.